In the lives of little people, imagination rules! They can turn toilet rolls into spacecraft or French knitting kits. Make puppets or trains. There is no limit to what can be created. Anything can be recycled, restructured, converted or recreated. All that’s needed is imagination. This is the story of two best friends, Liam and Kai who are very good at all those things. Their favourite pastime is coming up with new adventures in the park and creating the mode of transport to suit their needs, with what is available to them. What’s better than transforming a box into a taxi, limousine, or any other type of box car necessary to take them where they want to go, with whoever they are driving on the day? Eve comes along, and two box cars have to be divided between three people. No matter how the boys try to accommodate their new friend, things don’t seem to turn out properly. Will they find a solution to their problem without leaving anyone out? 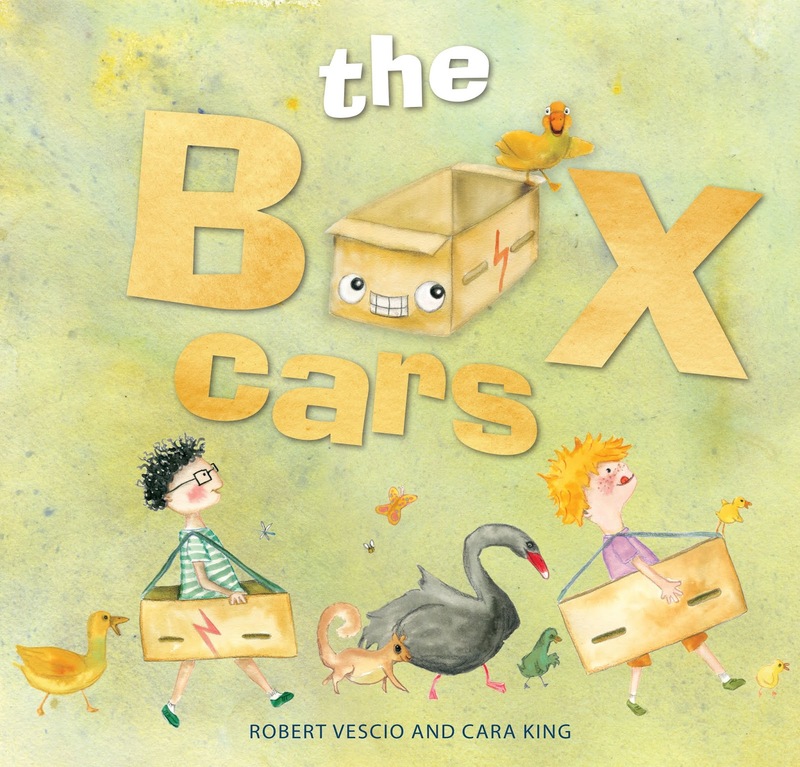 This is a delightful story about children solving problems by using their imagination. Also, about friendships, compromise, and their ability to recycle, reinvent and transform in the most efficient and innovative ways. Cara King’s joyous illustrations are full of fun. With the colour yellow dominating every page, the book glows, demonstrating the happiness and freedom children express within relationships - old or new. The characters, whether box cars or people, animals or birds, have smiles on their faces indicating the warm atmosphere that exists between all the animate and inanimate characters. Stunning end pages wrap the book in light and box cars of various kinds.